Efficient packing is a learned skill. Just like mastering chopsticks or riding a bike, it takes practice – but when you finally figure it out, it becomes second nature. A decade of studying, moving, and touring all over the world has taught me how to be prepared for (almost) all eventualities, and how to pack a killer carry-on. I only ever travel with a carry on, and it’s a small one at that. My 50cm Lipault Plume cabin bag is small enough to meet the carry-on requirements of every major and budget airline. It has spinner wheels for easy travel, and it collapses for convenient storage. So many people believe that overpacking is the key to being prepared, but if you do your research and plan carefully, you can figure out exactly what you’ll need – or at least make a pretty educated guess. That means no more stress, no more baggage fees, no more excess. Now when I pack, I don’t even have to think. I just . . . “tick”. 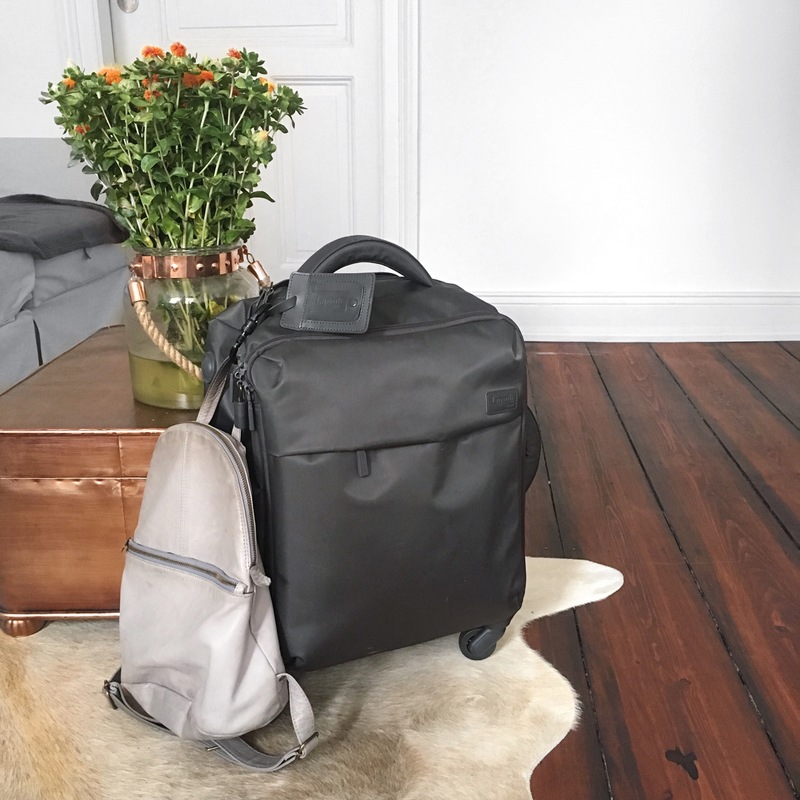 Over time, I’ve developed a series of lists which build upon each other, so that it’s possible to tailor my luggage to a specific trip without having to start over each time. Begin with the DAYPACK list. This is a series of things I keep in my handbag/backpack on a regular basis. My daily essentials. Pack these first. My toiletries kit is usually always packed because it lives in my gym bag. Planning on staying somewhere overnight? Add the OVERNIGHT extension. This is pretty modest add-on which contains only the stuff you need to spend a comfortable night (and day) away from home. Everything here should for in my handbag or a small backpack/tote. If you’ll be staying away from home for a few days/weeks, Include the TRAVEL list. 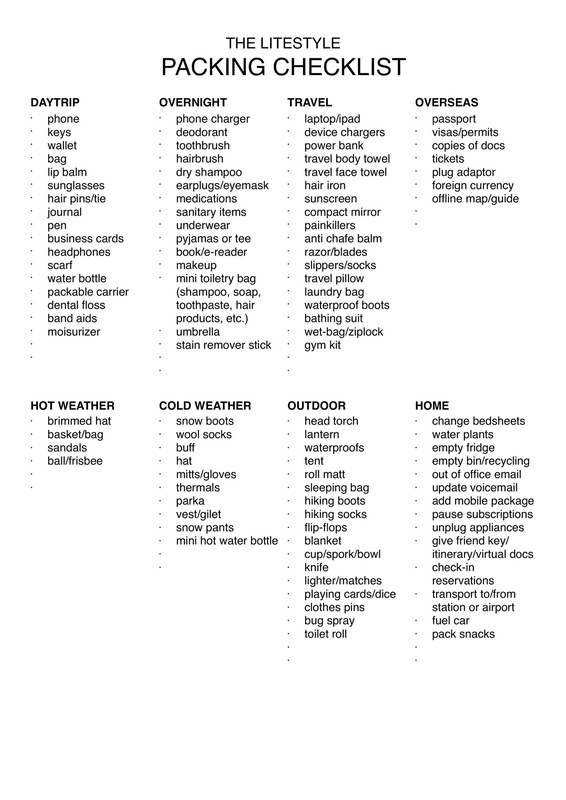 In addition to these three basic inventories, I’ve also included add-ons for OVERSEAS, HOT WEATHER, COLD WEATHER, and OUTDOOR (hiking/camping) trips, and a handy PREP list of things to do before you take off. Of course, you may not always need every item on the list (I didn’t bother to take snowpants to Estonia, for instance, but I did to Canada where I would be skiing and snowmobiling. I don’t bring my computer or makeup camping.) but I’ve found that having all the options written down in front of me makes it so easy to decide what will be essential. You’ll notice that these lists exclude clothing (with the exception of technical pieces like thermals, mittens, swimsuits, snowsuits, etc), because I generally just bring my capsule wardrobe wherever I go (I’ll be publishing an article on my capsule wardrobe later this month). You can check out my most recent travel capsule wardrobe for Hamburg, Germany here. 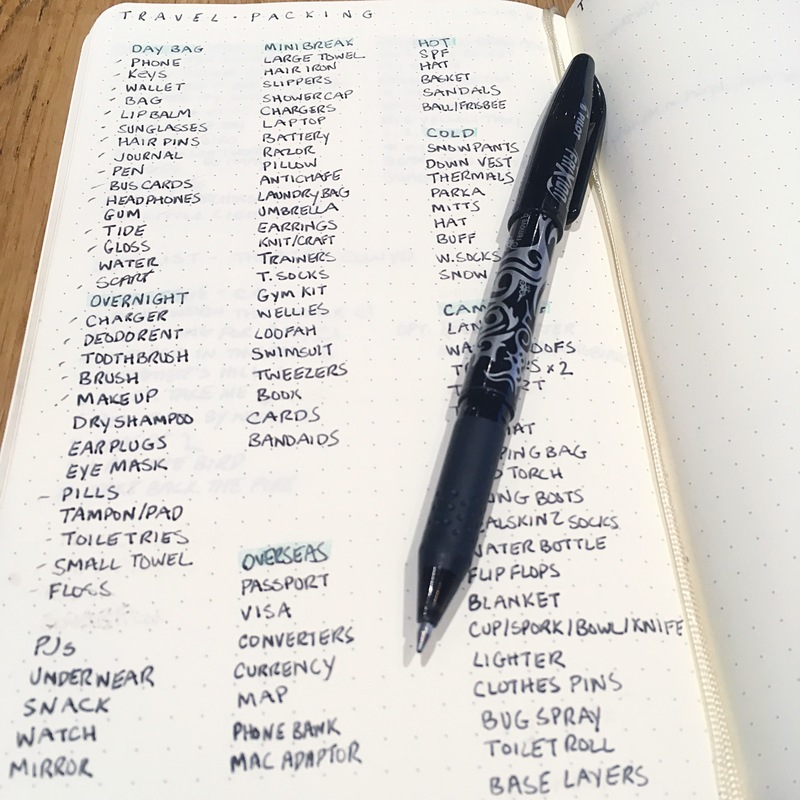 I keep my packing checklist in my bullet journal and use my Frixion pen to tick and erase each trip, which is really handy. I’ve included a copy below, so please check it out, and let me know if I’ve forgotten anything! This is great!!! Thanks for sharing! love your check list.. I need to get one done for me too.. I always mess up with the packing. Thanks! I really enjoyed your photos of Israel! 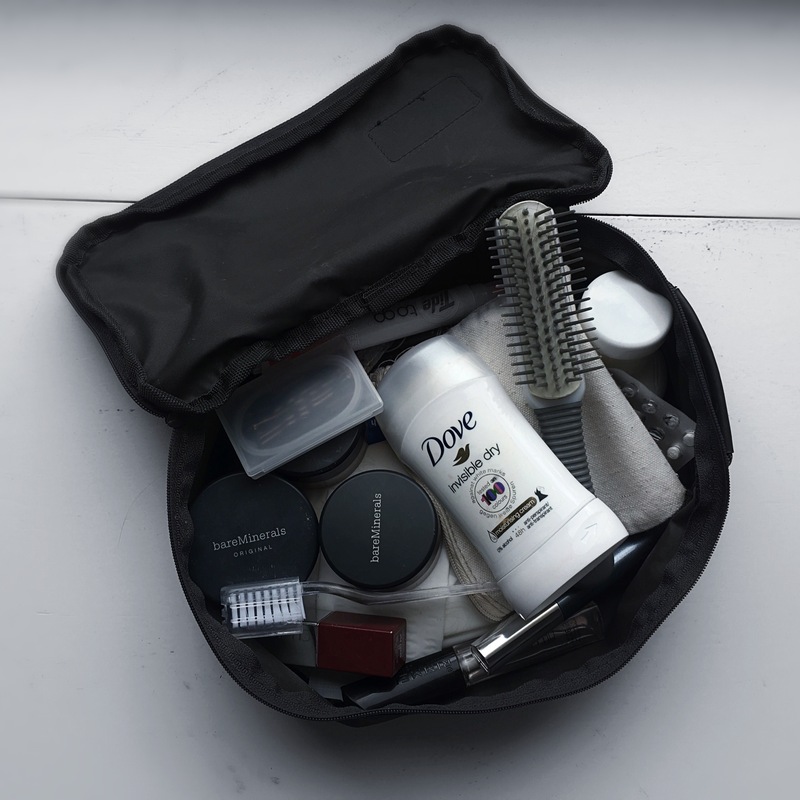 Did you pack anything special for that trip?